Have you guys ever been to Moscow? If not, add it to your bucket list, because this city is really a must visit! Since I was a kid I dreamed of visiting Russia. I learned the language (vsem priveeeet!) and life was always bringing Russian (or Russian speaking) people to my life. 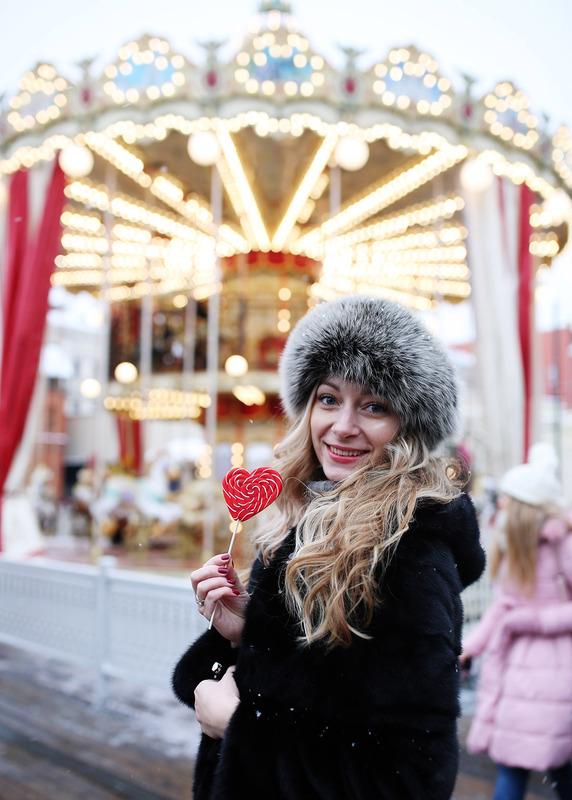 A few of them became my close friends, like my dearest Nastia, native Moscow girl, thanks to whom we now have a genuine Moscow Insider Guide on our Vienna Insider blog! Despite the name, as you guys know, we don’t merely blog about Vienna here. 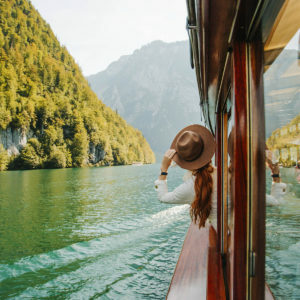 Our readers are travel lovers and for all of them, all of you, I am sure a guide like this will be more than useful. Ideally, I would recommend spending at least a week in the city to see the most of what it has to offer. The best time to visit (in my humble opinion) is spring and summer, as this is when the weather is nice, the trees are blooming and everything around is bright and most picturesque. However, any season is good – autumn with beautiful parks full of all these shades of red, yellow and gold; winter with its bright blue sky, white crispy snow and amazing festive atmosphere. Every season is good in Moscow, moreover, you can see every season here (if this makes sense ;)) – this is one of the reasons why I love it so much. Red square is probably the first thing that any person thinks of when he hears the word “Russia”. And it’s well worth the hype! 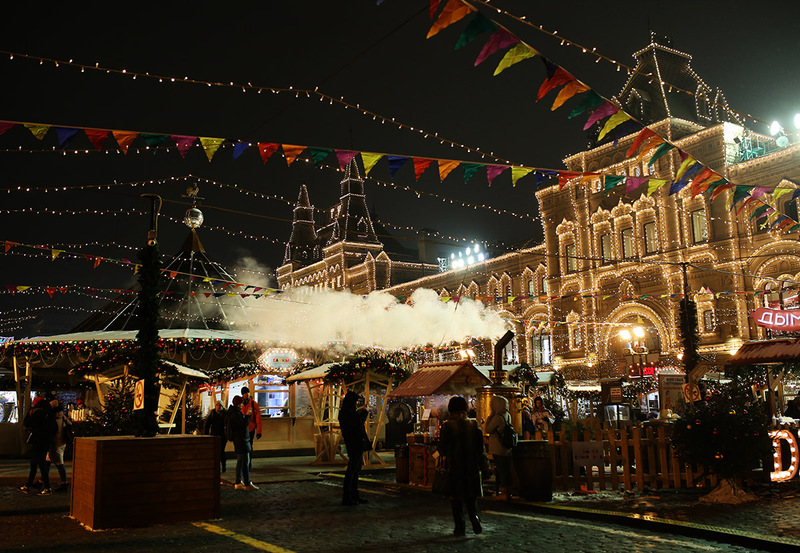 The square, which at the beginning was not red-colored and which name stems from the old Russian “beautiful”, is truly so. 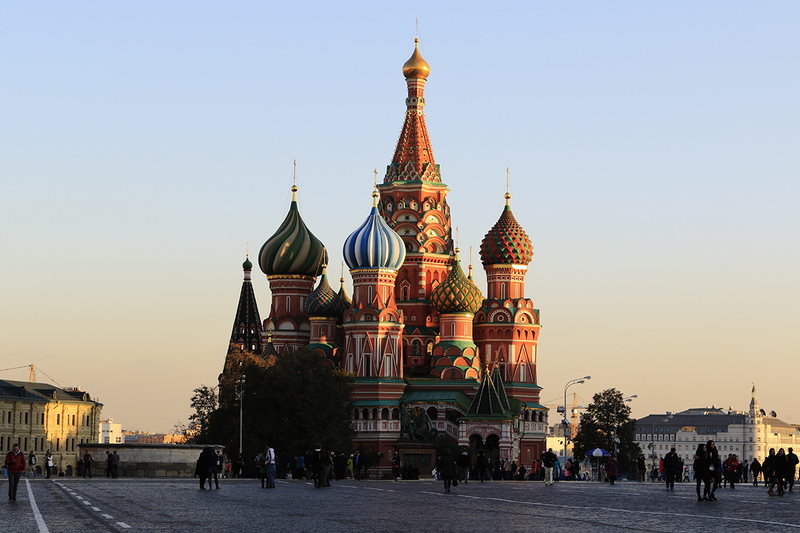 Its big, its surrounded by the spectacular buildings of Kremlin, Historical museum and GUM, and it has St. Basil’s cathedral on it. That cathedral is an eye –candy both inside and outside and actually consists of 9 churches connected by the common hallway coming through all of these. Make sure to visit all of them and, if you are lucky, listen to the breathtaking men’s choir singing old Russian music inside one of the chapels. Right next to the red square and Kremlin, on the bank of Moscow river, lays one of the newest and coolest parks in Moscow – Zaryadye. 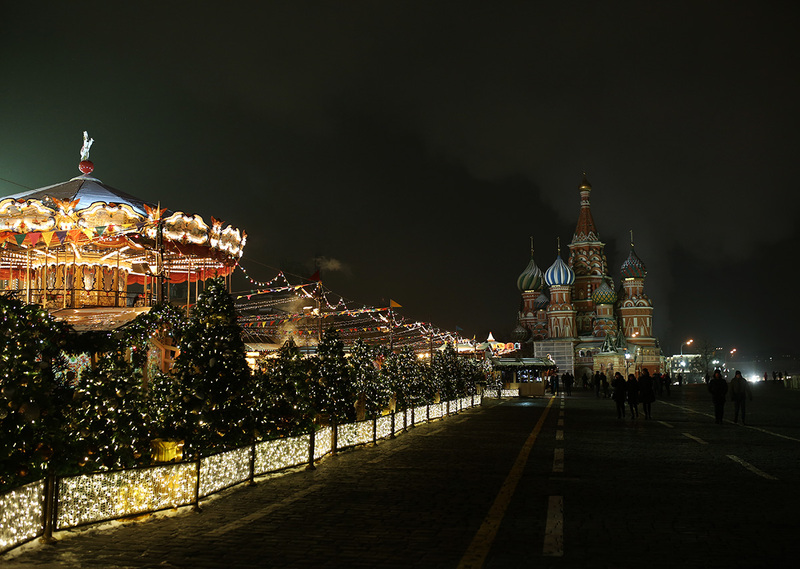 It was opened in 2017 and has ever since become one of the favorite sights for both tourists and Moscovites. 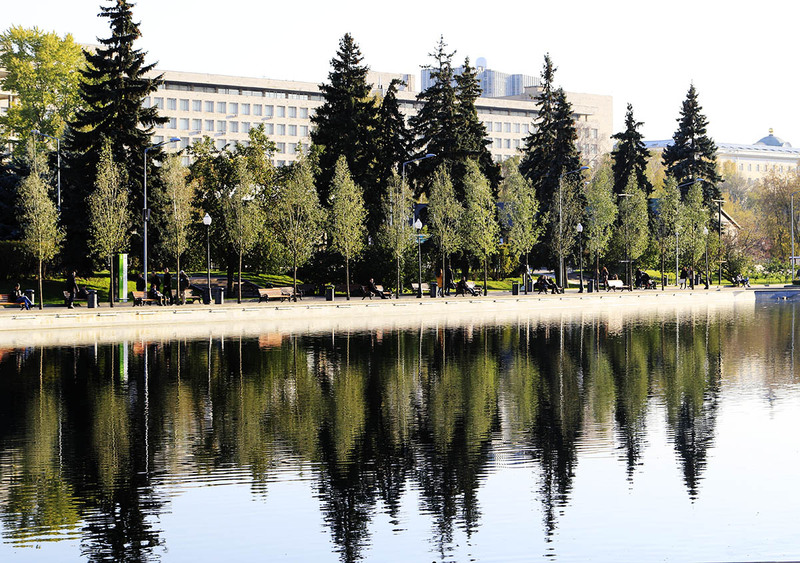 The park was built on the territory of the soviet hotel “Rossiya”, which was demolished in 2006. The main idea of the park is to show different landscapes you could find across Russia – from savanna to Siberian tundra. In addition to that, park has some interactive museums and a brand new concert hall. 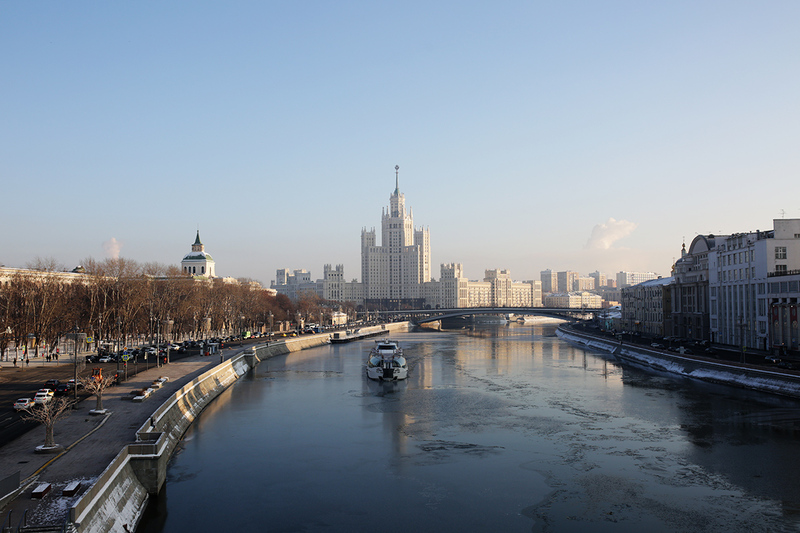 Make sure you go to the flying bridge – it has some of the best views over Moscow city center! 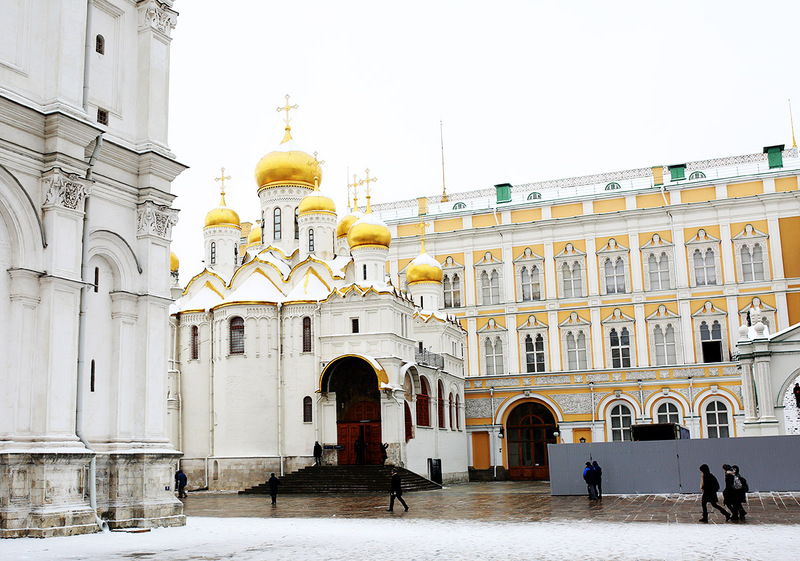 If you are interested in Russian culture, you would know that Orthodox Church is a big part of it. It is therefore logical to visit the main Russian cathedral – Christ the Saviour’s, especially since it is conveniently located in the city center. This is one of the biggest cathedrals in Russia, and definitely the one with very interesting (although tragic) history. The current cathedral is a reconstruction of the original church which was destroyed in 1931. However, the fact that this is a rebuilt doesn’t give it less significance and beauty – it is gorgeous and impressive both inside and outside. On a sunny day, make sure you cross the river on the bridge which starts right at the doorstep of the cathedral and enjoy a coffee or a drink in one of many bars and restaurants located on the former territory of the Krasniy Oktyabr’ chocolate factory. I would recommend Strelka bar (good food and a rooftop terrace with great sunset views), as well as Gypsy club for experiencing Moscow nightlife. When you walk or drive through Moscow, you would most definitely notice these big castle-like buildings spread across the city. These are the Seven sisters (or Stalin’s skyscrapers as we call them in Russian). 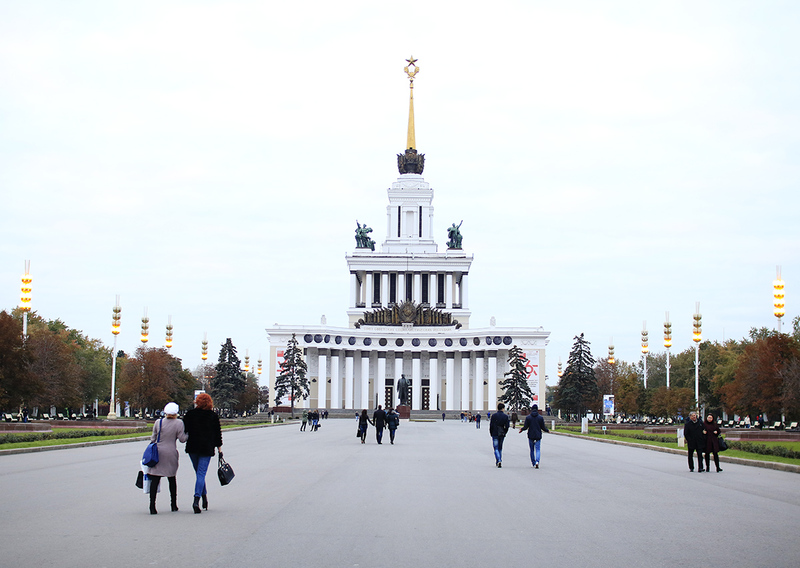 Built in the 1940-50s, these were meant to be a present for the Moscow’s 800th birthday – one for each century. However, building number 8 was never built. All sisters are similar, but not the same. 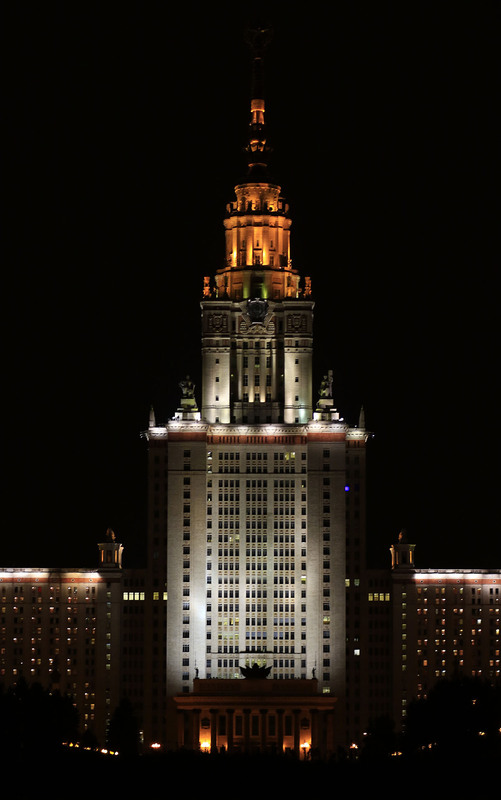 They have different functionality – some of them are residential (building on Kotelnicheskaya), some are administrative (Ministry of foreign affairs), one is a hotel (hotel Ukraine – Radisson Royal), but the biggest one has the most significance to me – this is the building of Moscow State University, my alma mater (at the pic above). 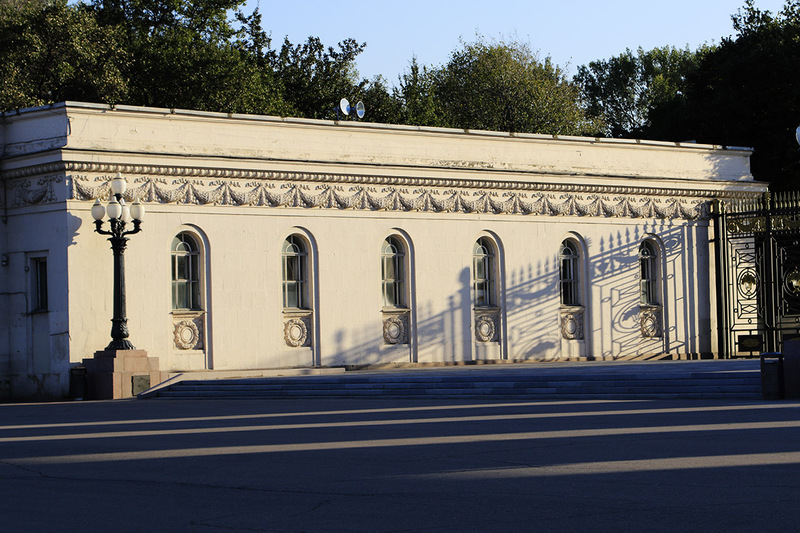 🙂 If you are ever in the west of Moscow, make sure to go there and visit the viewing point in front of it – on a sunny day you can spot all 7 buildings at once. Moscow is full of Soviet buildings and sights – not because we are still in the communist era 😉 but because it is part of the country’s and city’s history which you cannot erase and forget. Many of those places got a new life and were redeveloped – for example, VDNH exhibition park. Build initially as a place to show the developments of the Soviet economy and culture, this is now a big exhibition and educational centre with many beautiful pavilions, museums, oceanarium and a great park to stroll or cycle around. In winter, central paths of the park are transformed into the huge ice-skating rink. Pics from VDNH are from 2015. Unfortunately this time we didn’t make it to go there. 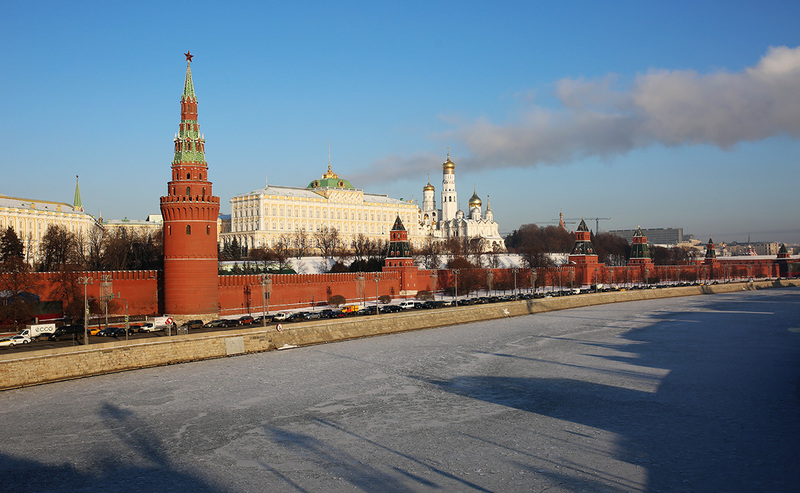 If you don’t have a lot of time to spend in Moscow or you just want to spend some relaxed time with good food and views – river cruise is the thing for you. My personal favorites are Radisson royal cruises. 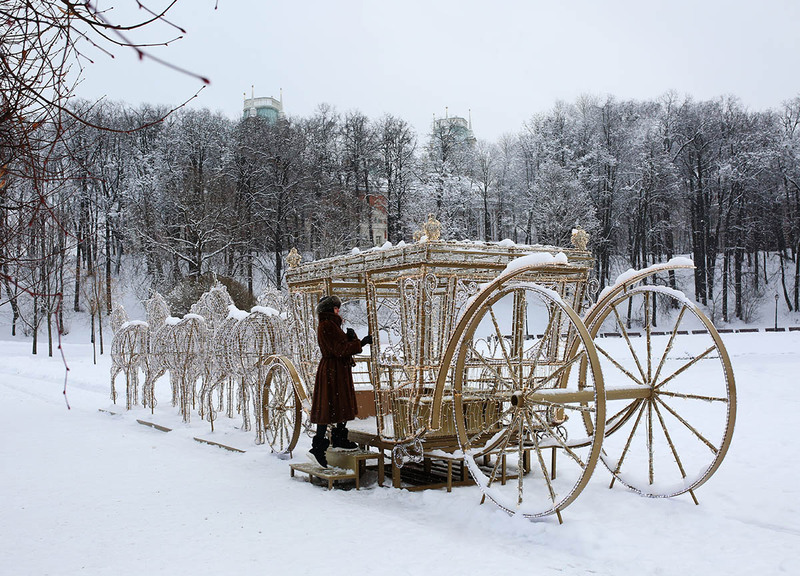 These are organized on big glass-covered boats which operate all year round, even when Moscow river is frozen. On board, you would be offered lunch or dinner, which sometimes will be accompanied by live music. Breathtaking views of Moscow city are a nice bonus 😉 Make sure to reserve your ticket in advance if you are planning an evening trip on a summer weekend – these are very popular. At first, it may sound strange that one would name transport system a landmark. 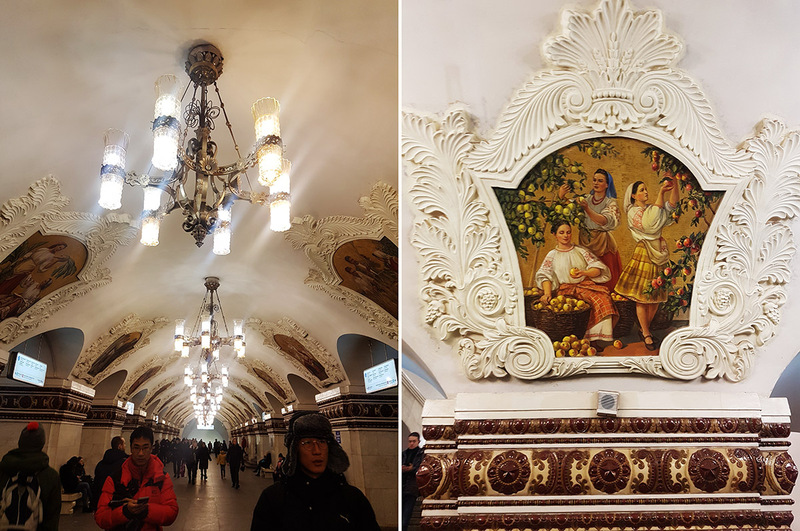 Moscow metro is not a typical subway, it is truly an underground museum – and it was built with such purpose as well (in addition to transporting people). 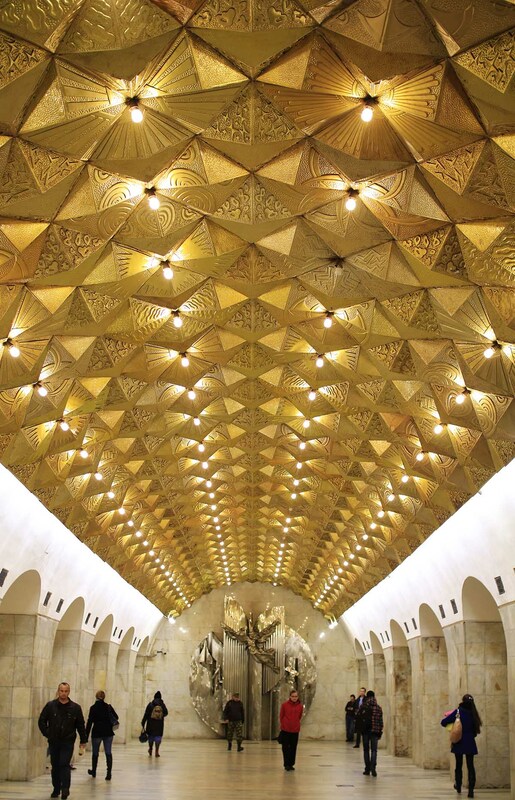 While planning and building the first metro stations, Soviet governors wished for them to also be museum for the nation, so that as many people as possible could enjoy art and culture. Every station has a unique design, many of them are decorated with mosaics and paintings… Moreover, Moscow metro is one of the cleanest and most efficient underground systems in the world. 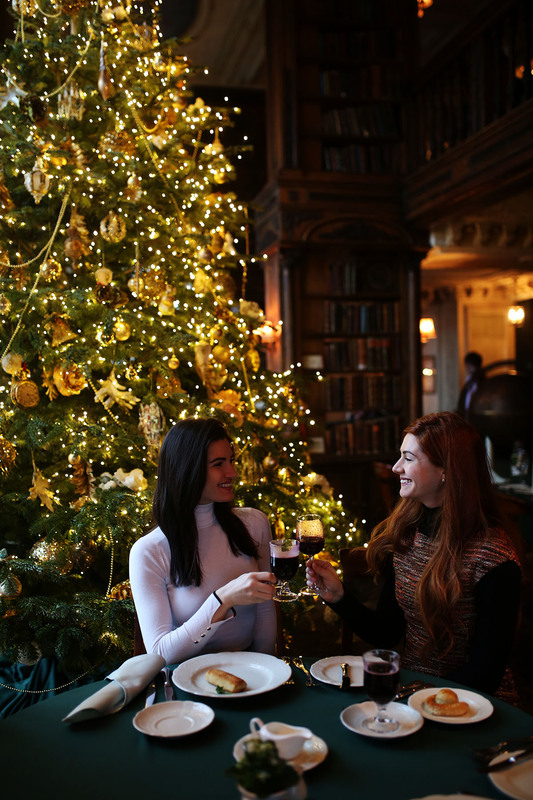 Some of the best restaurants are Café Pushkin, Dr Zhivago and Rusky. 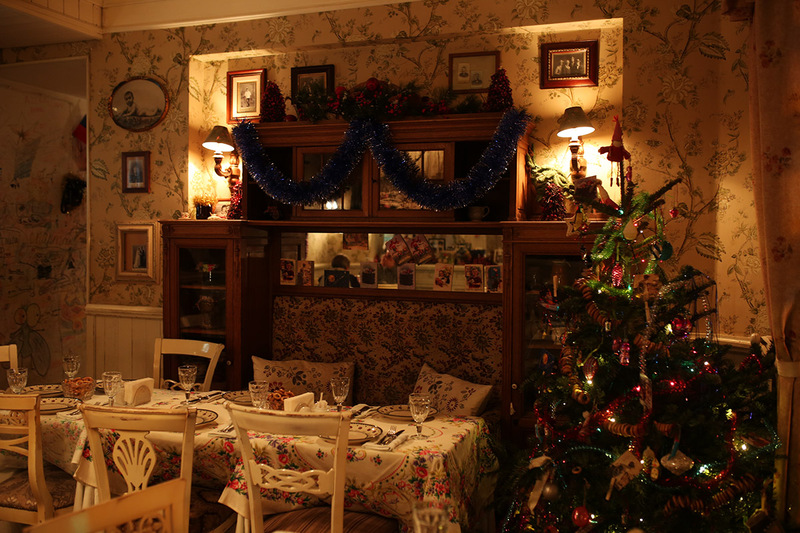 Mari Vanna is one of the most charming Russian restaurants in town with a cozy atmosphere. There are also deli-type cafes like Bratya Karavaevy, as well as Pain Quotidien and Volkonsky bakeries. 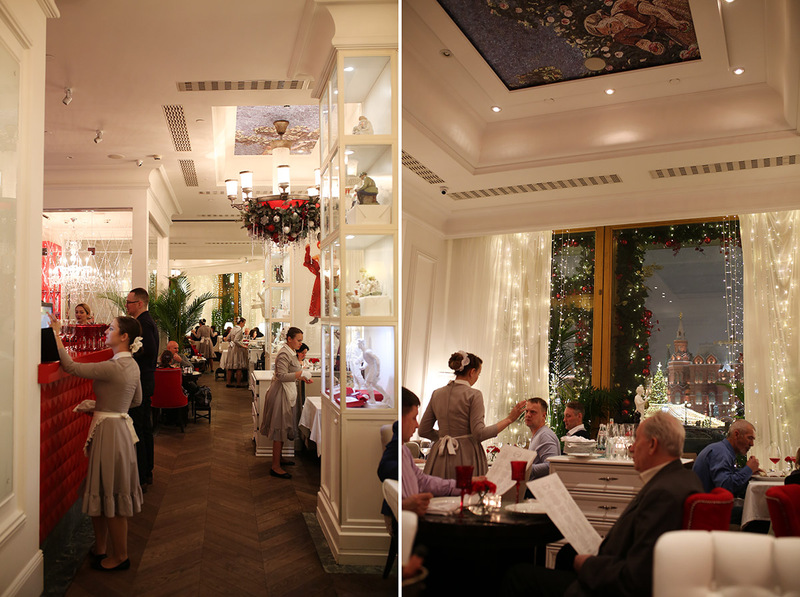 Dr.Zhivago restaurant – dinner with the view of the Red Square. 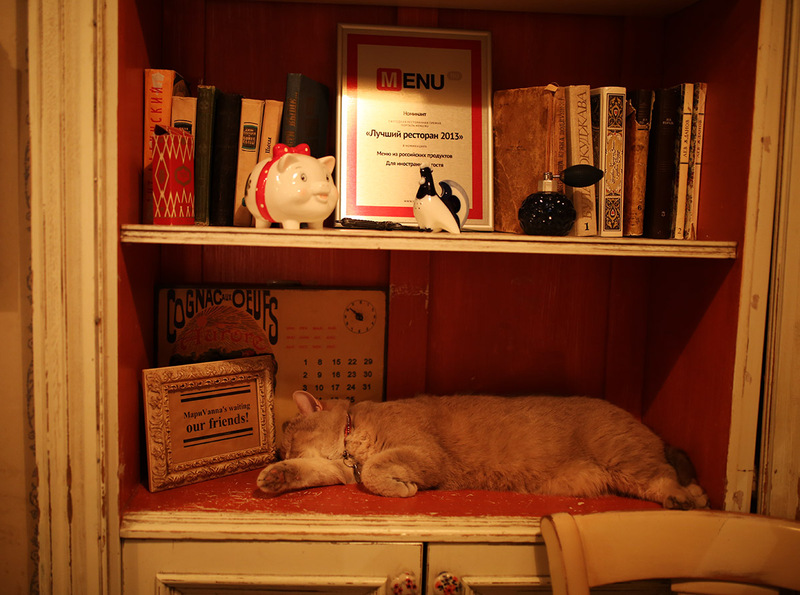 And a few shots from our beloved Mari Vanna. 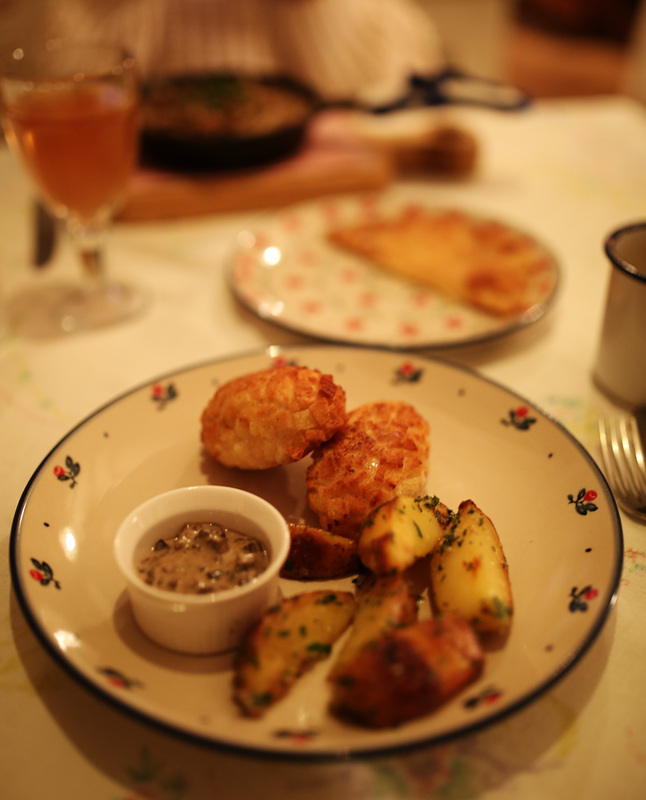 Pozharskiye kotleti were super delicious as well as Beef Stroganoff with buckwheat. 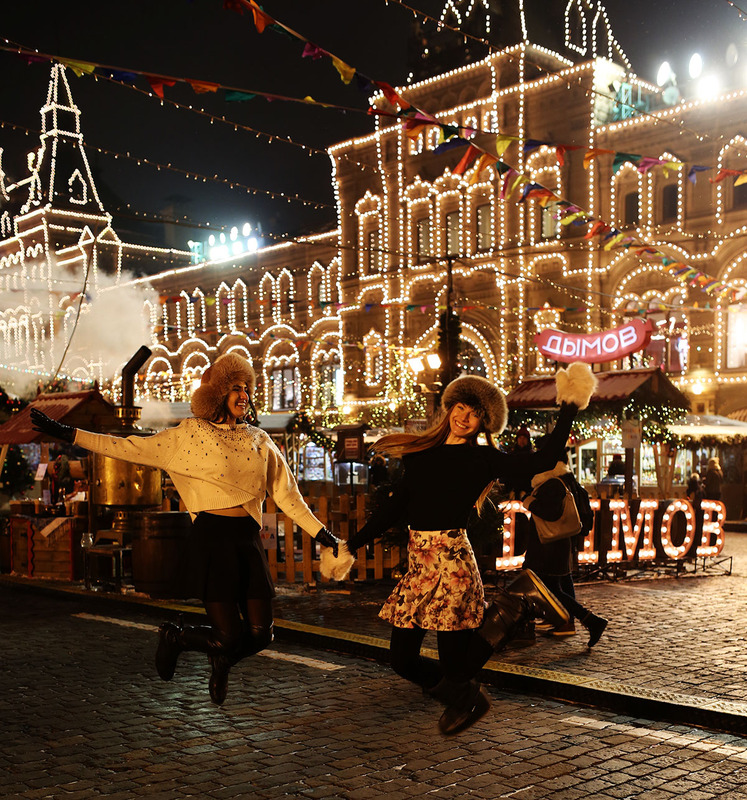 No matter where you are in Moscow, what time of the day or season it is, you should just enjoy the city! It always has something hidden around the corner, you just need to be open-minded and not be afraid to get off the tourist paths. Classic museums, music concerts, modern art exhibitions, beautiful parks…or just a tasty ice-cream, cute matreshka souvenir or a person on the street who helped you to find a way? It’s all there. To sum up, I would say that Moscow is full of surprises and definitely not what you first expect it to be. It is a unique mix of eastern and western culture, old and modern architecture, metropolitan vibes, yet cozy atmosphere once you visit the right places. It has something to offer to everyone and always leaves an indelible impression. I love my city and hope any of you who would ever visit it would fall in love with it as well! Great restaurants: AQ Kitchen (molecular cuisine), Chef (perfect for meat lovers), Saperavi ( delicious Georgian cuisine), Cookariky (for breakfast lovers – this restaurant serves breakfasts from all over the world, all day long). Desserts: I Love Cake (American style cakes, but made in Russia of course. 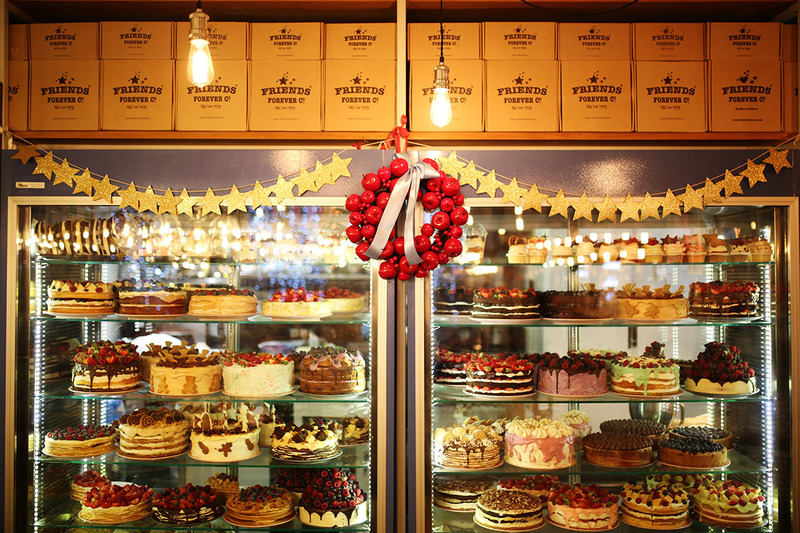 They have a huge selection of cakes, we loved this place) or Pushkin Konditorskaya (right next to Cafe Pushkin). Fast food and chain restaurants: Kroshka Kartoshka is a must try! Prime for those who like to eat healthy; Hleb Nashusnii (all over the city, it is like a bakery but you can also enjoy warm dishes). For supermarket fans: Azbuka Vkusa – deli supermarket, that you will find all over the city; or Gastronom inside GUM. Moscow Shopping malls: one of the best and biggest malls is Evropeyskiy mall at the Kievskaya metro station; Atrium is another great mall next to Kurskaya. Or if you want to go shopping in the city center then you simply check the underground shopping center at the red line Ohotnii Rad. 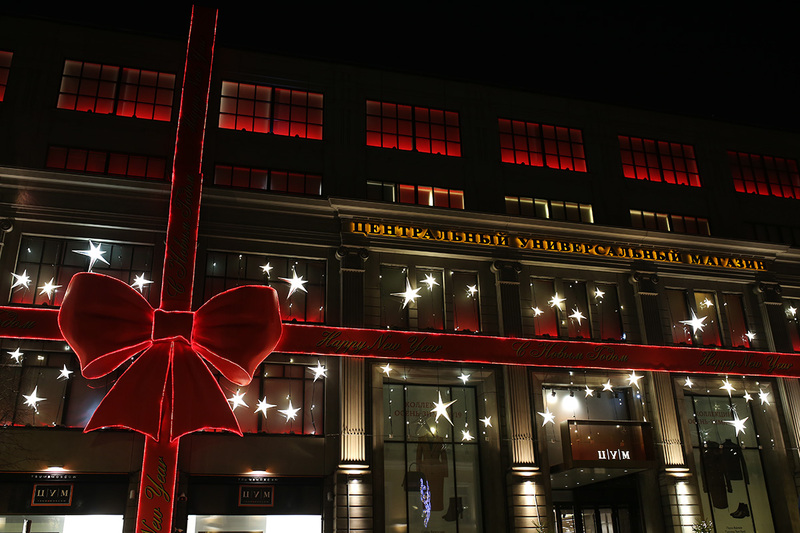 Luxury shopping: for this your address should be GUM at the Red Square or TSUM close to Bolshoi Theatre. By the way, even if you are not lucky to actually shop at these places, make sure to take a look, both are iconic and photogenic. For kids: make sure to take the little ones to Detski Mir department store. You should also visit this place if you want to enjoy perfect Moscow rooftop view. Just take off at Lubyanka metro stop (red line). 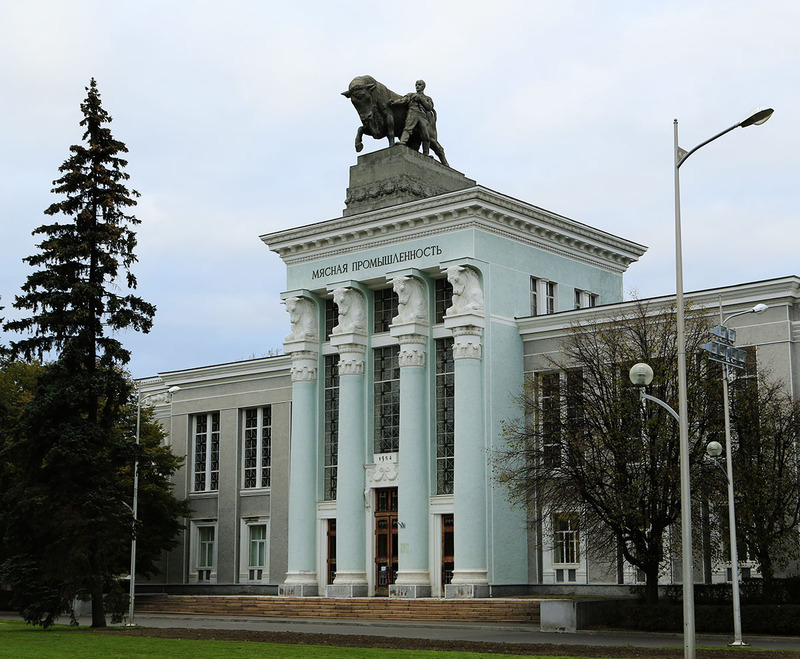 Souvenirs: the best place to shop for souvenirs is you want to shop for souvenirs is Izmailovsky souvenir market. Simply take the blue metro and take off at the stop called Partizanskaya. 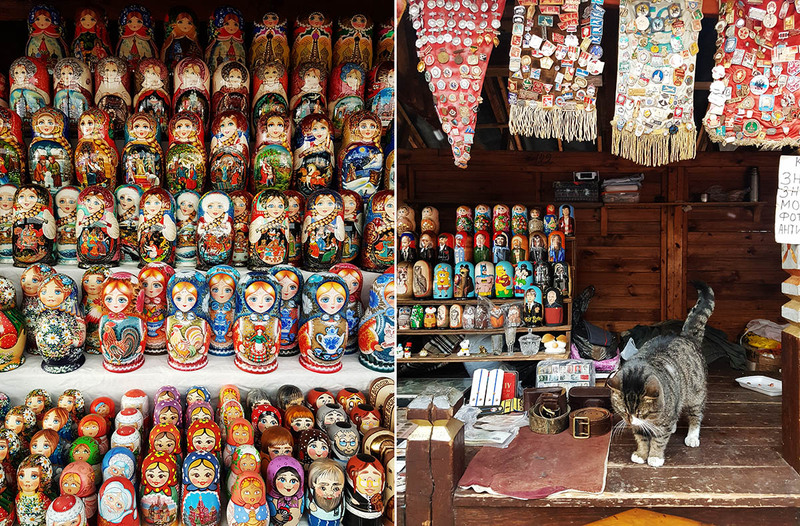 You will need to walk for a few minutes until you reach the market, where you will find anything from must have matroshka dolls, typical Russian scarves and hats, painted boxes and figures, magnets, fun t-shirts, anything you can think of. Feel free to bargain! The prices there are significantly lower than anywhere else. 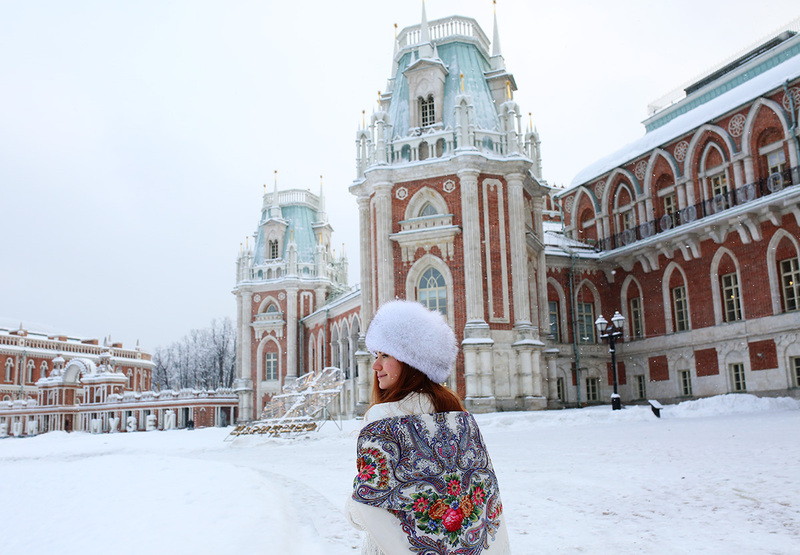 Dreamy Tsaritsyno Palace museum and park in the South of Moscow, built in the 18th century by the order of Catherine the Great. And the most colorful Kremlin ever, right next to the Izmailovsky market. De’Longhi Coffee Moments and typical Viennese Coffee Recipes You Got to Try!